Continuing its efforts to increase transgender awareness, University of Delhi(DU) announced on Monday its plans to introduce a ‘gender neutral hostel’ by the academic session 2018-19. It was the year 2015 when DU took a much-needed and critically acclaimed step to introduce a ‘third gender’ category. However, as years passed by, not a single student enrolled and attended regular classes under the category. Acknowledging this, the university’s Interim Pro-Vice-Chancellor Professor J.P. Khurana announced on Monday its plans to introduce gender a neutral hostel, along with other initiatives to increase transgender visibility. ‘While pondering the idea of a third gender only hostel, we realized the decision will only end up having segregatory implications. We thought if gender neutral hostels were to be introduced instead, binary students would learn to be more accepting of students of the third gender.’ He said. The announcement has received mixed reactions from students, some claiming it to be a ‘progressive’ and ‘moral’ decision, while others calling it ‘unnecessary’ and ‘disruptive’. “I acknowledge the need for trans awareness, but I personally cannot defend such a potentially dangerous decision, especially for girls. 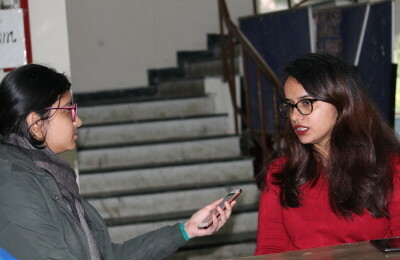 How would you make sure that no atrocities happen when you put everyone in the same dorm?” Neha, a resident of Ramjas colleges’ girls hostel told DU Beat. Professor J.P. Khurana acknowledged this issue, stating that if the decision is confirmed, he’d ensure that ‘safety of the residents remains a priority’. Another concern raised by students is that the decision might only end up backfiring for transgender students. Suspecting that keeping them in the same hostel as trans-phobic students may trigger ‘regular abuse’ and ‘unwanted attention’. The hostel is rumored to have the ability to accommodate about a hundred students. It is also suspected that hostel charges will be much higher than that of other DU colleges’ hostels. This wouldn’t be the first time the concept of gender neutral hostels is introduced in India. Tata Institute of Social Sciences (TISS) in Mumbai announced this April its intentions to introduce sexless hostels by the next academic session. While the idea of gender neutral hostels sounds appealing, the question here remains that will DU be able to flawlessly introduce and implement the concept or will it only end up becoming another nightmare for transgender students? Disclaimer: Bazinga is our weekly column of almost believable fake news. It is only to be appreciated and not accepted!